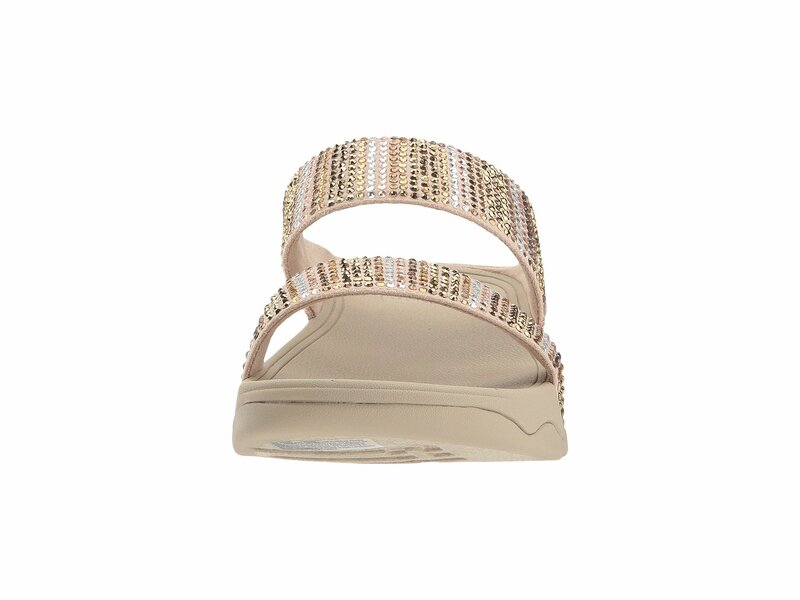 Give your look a little extra sparkle with the comfortable, yet stylish FitFlop Flare Strobe Slide. Textile upper features glittering rhinestone detail. 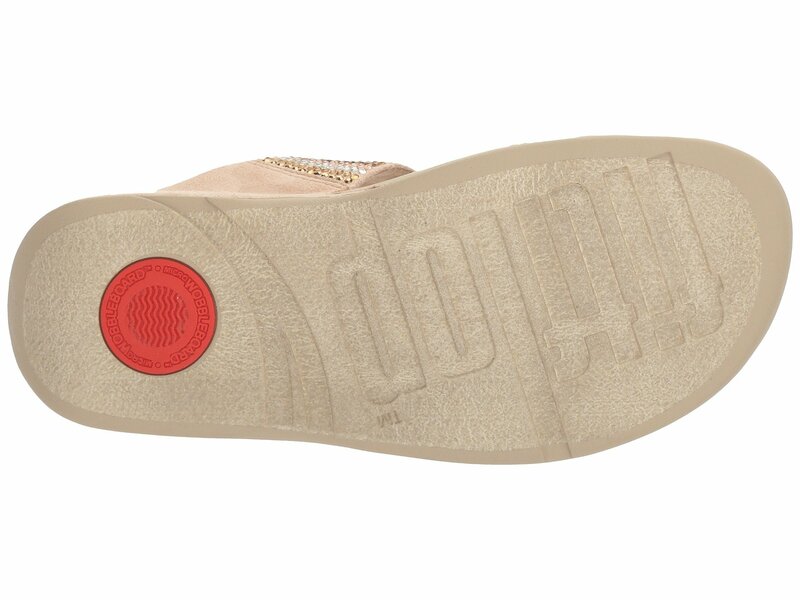 Microwobbleboard technology provides comfort, absorbs shock, and diffuses pressure under the foot.